Sarva Siksha Abhijan Mission, Assam. 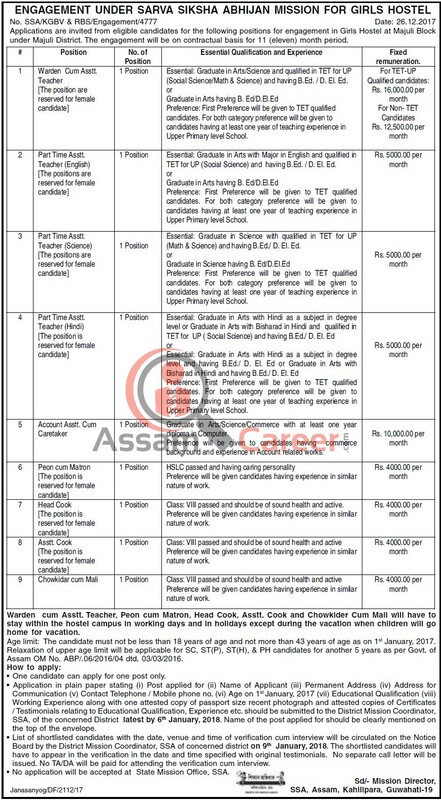 Applications are invited from eligible candidates for the following positions for engagement in Residential School for Boys (RSB) - at Majuli Block under Majuli District mentioned below. The engagement will be on contractual basis for 11 (eleven) month period.